Free Moving Printable | We've Moved! Free Moving Printable | We’ve Moved! Let me share with you, in the past two years my family and I have moved – TWICE. One was a cross country move (with movers), the second was moving four houses down (on the same street) while six months pregnant. I almost greatly prefer the cross-country move! There was nothing pretty about me walking up and down the street with a huge belly and a load of boxes (yes, protective readers, I know carrying boxes when pregnant is a no-no and I am happy to report, we had a healthy baby boy this past October.) Regardless, I learned my lesson that hot summer, with the worse abdominal cramping. We settled in our new home, though, and with a young baby at home, I am ignoring the boxes in the corner that never got unpacked. Moving along (no pun intended)) moving so often has taught me some of the best lessons. In fact, I share many of those in our Top 50 Moving Hacks and Tips. 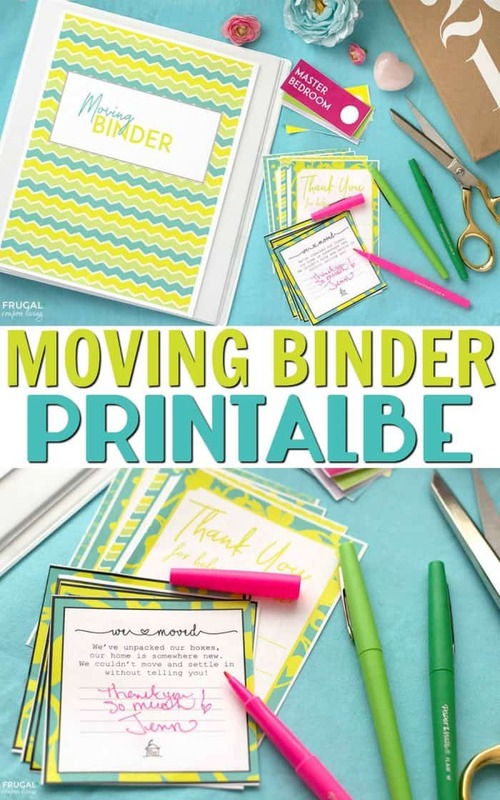 A few of my favorites include creating garment bags for clothing out of garbage bags, place Styrofoam plates between breakable plates, reuse toilet paper rolls and egg cartoons and my favorite, color code your boxes based on rooms they need to go. Your movers, friends and family with thank you for this last advice. You all also appreciate not hearing the question, “where does this box go?” 100 times. I also learned when you move often, no one has your address. This last Christmas, with a new infant in my arms, I worked hard to get Christmas cards out early so that friends and family could have our return address. I slipped inside these adorable “We’ve Moved” notes. You could also print these notes, take a cute photo like I did below and upload the image to your Facebook wall (assuming you have a private Facebook page.) No need for that address to be public. I welcome you to use and enjoy these free printable “we’ve moved” cards however you wish. Please keep in mind, they are for personal use only. These are my gift to you for being such amazing and loyal readers! One last tip. On your next move, consider getting help – wish I had taken advantage of friends, but our pride (and the close proximity of our home) made us deny help. Feed your friends with water and food and I am sure they will be more than happy to help – who doesn’t love a good afternoon pizza and an iced cold tea!?! Enjoy our moving tips and hacks on Good Morning Washington! 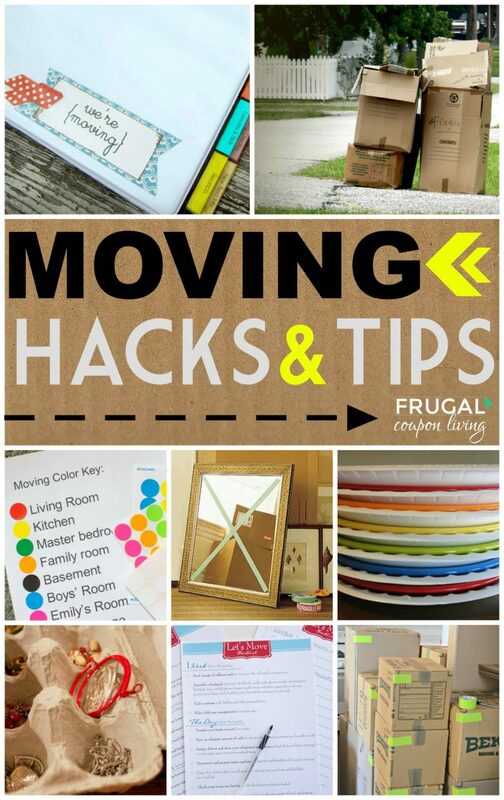 Be sure to also take a look at our Top 50 Moving Hacks and Tips. Pin to Pinterest.